This week, beginning Sunday, January 28 is National Catholic Schools Week. It is a time to celebrate the great gift that Catholic schools are. Here in the Diocese of Covington, we have a particularly rich history of Catholic education that we need to acknowledge and celebrate. A few years ago Bishop Foys announced that he had learned something very important while he was at a National Bishops Conference. He had been informed that the Catholic diocese of the United States, which had the highest percentage of its Catholic youth attending Catholic school, was the Diocese of Covington. That is remarkable and is testimony to the dedication to Catholic schools by generations of the Catholic faithful, of religious sisters and brothers (Newport Catholic and Covington Catholic were primarily staffed and run by the Christian Brothers and the Marianist Brothers, respectively), bishops and priests and lay teachers and staff. I did not attend Catholic school as I was growing up. My dad was a full time farmer in May’s Lick, Kentucky, and my mom was a full-time mother and housewife, raising 10 kids. We lived 10 miles outside of Maysville, so attending Saint Patrick School was not an option for us. We went to May’s Lick Elementary (no longer in existence) and Mason County High School. The first time that I attended a Catholic school was when I entered seminary. So I recognize that one can receive an excellent education in a public school and can receive a wonderful Catholic upbringing and education through a good Catholic family and a CCD program. Having said that, I have been heavily involved in Catholic schools throughout my priesthood. Every parish I have ever served in, until now, has had its own Catholic grade school. 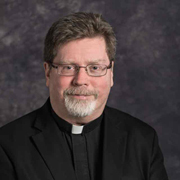 I have also taught in and served as a chaplain for Bishop Brossart High School, Saint Henry District High School, Newport Central Catholic High School, and Saint Patrick High School. I am presently the pastor administrator of Newport Central Catholic and am involved in giving the senior retreats to Holy Cross High School. My involvement in Catholic schools has been a great blessing to me and has allowed me to see the great blessing they are to our Catholic community and to our local community at large. During this week, let us pray for the Catholic grade schools and high schools that are part of the Diocese of Covington, especially our own school, Prince of Peace. May God bless the children, the teachers and staff, the parents, and all of the many benefactors of our Catholic schools.